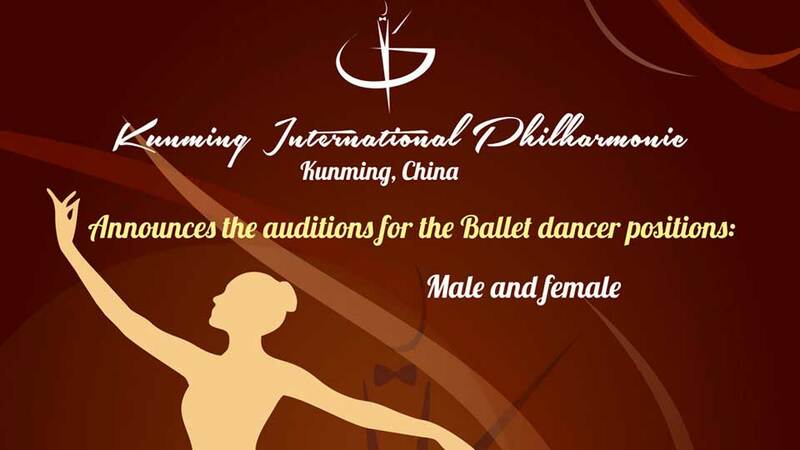 Kunming International Philharmonic announces the auditions for the Ballet dancers: male and female for the season 2018-2019. Heights for Girls between 1,65m – 1,70m, Boys between 1,73- 1,85m.The Applicants from 18 years old can participate in the auditions. At the time of registration of documents for a visa, the Applicant must have a diploma of higher professional education (degree not lower than “Bachelor” or ” Specialist”). Based on the results of the audition, the applicants are offered a contractual employment for a 2018-2019 season. 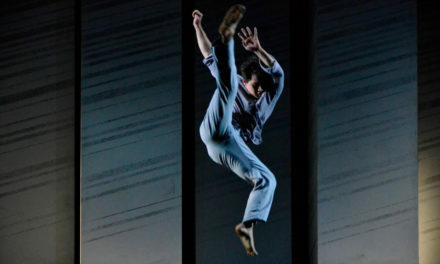 Kunming International Philharmonic pays for the flight tickets and provides an accommodation in a hotel on the territory of the College for the employed applicants. The salary of the Artists is 7000 RMB – 9000 RMB ($1100-$1400) per month. To participate in the auditions, it is necessary to submit the application on our website www.kiphil.com and send by e-mail info@kiphil.com photos and video of any classical variation or pas-de-deux (links or video files). Applications will be accepted until 31st of May, 2018. Records should be made no earlier than 1st of September, 2017.